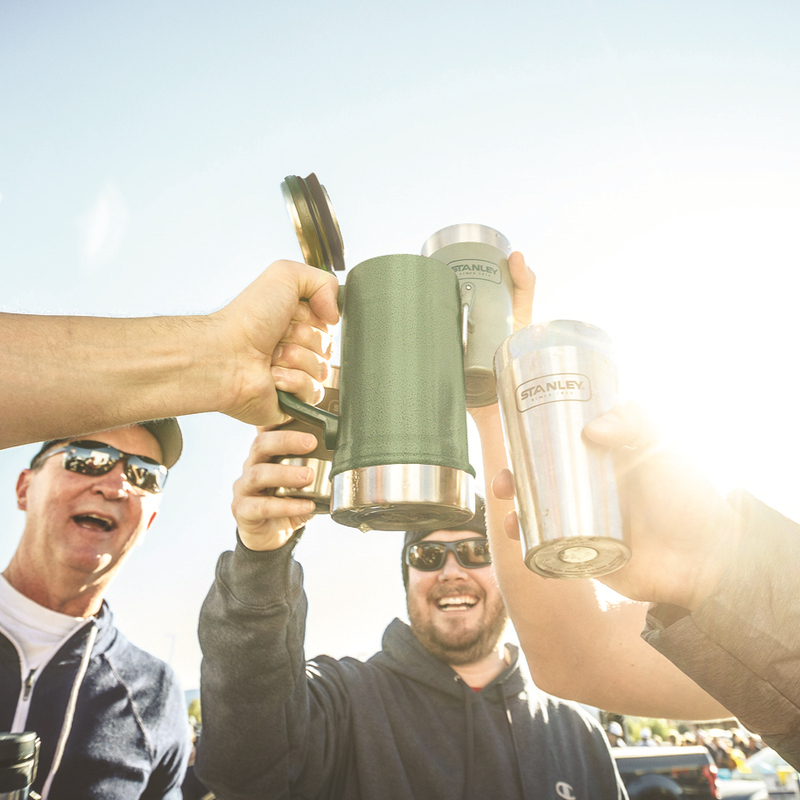 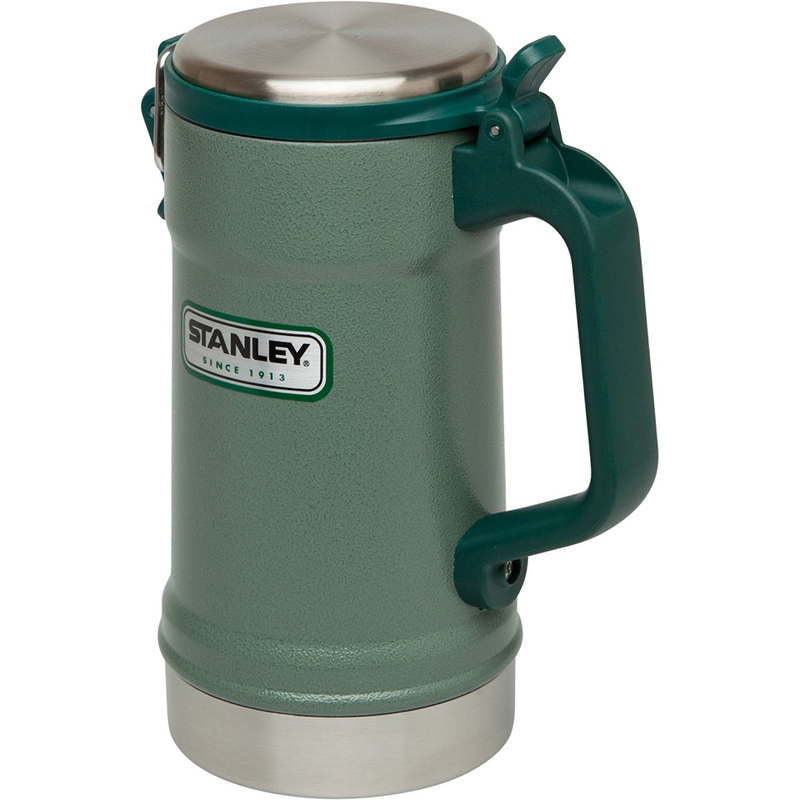 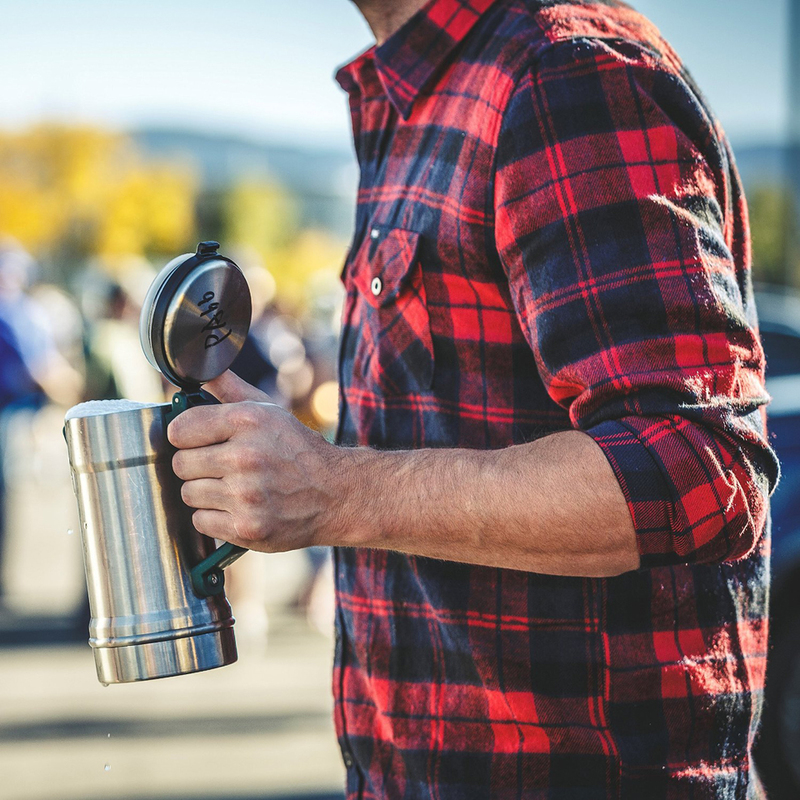 Stanley’s mug-shaped vacuum insulated growler has a latching lid that’s easier to open than a screw-on top. 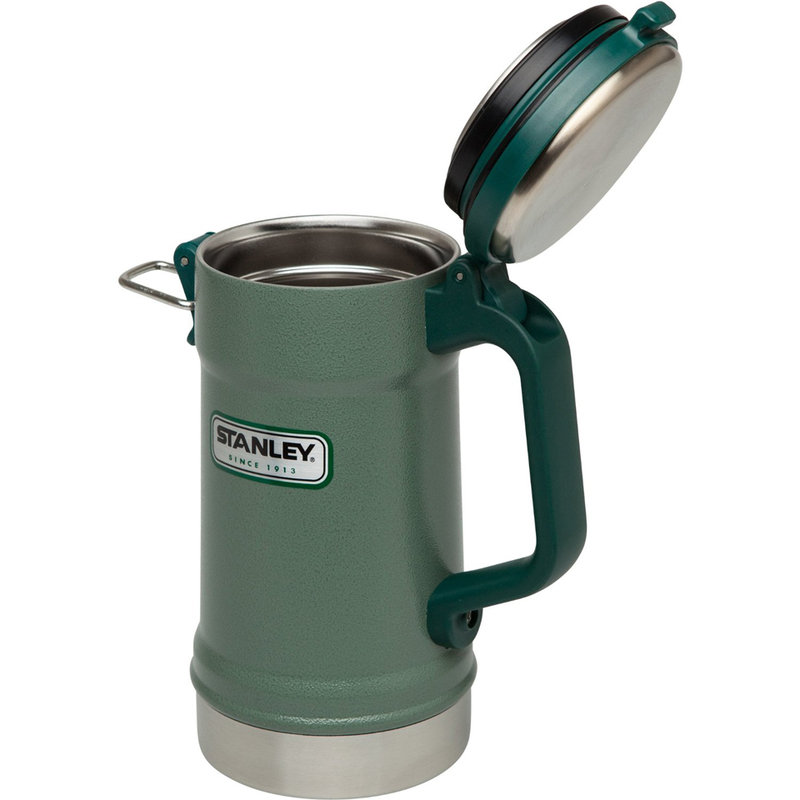 But it still keeps drinks hot, cold or carbonated for up to 9 hours. 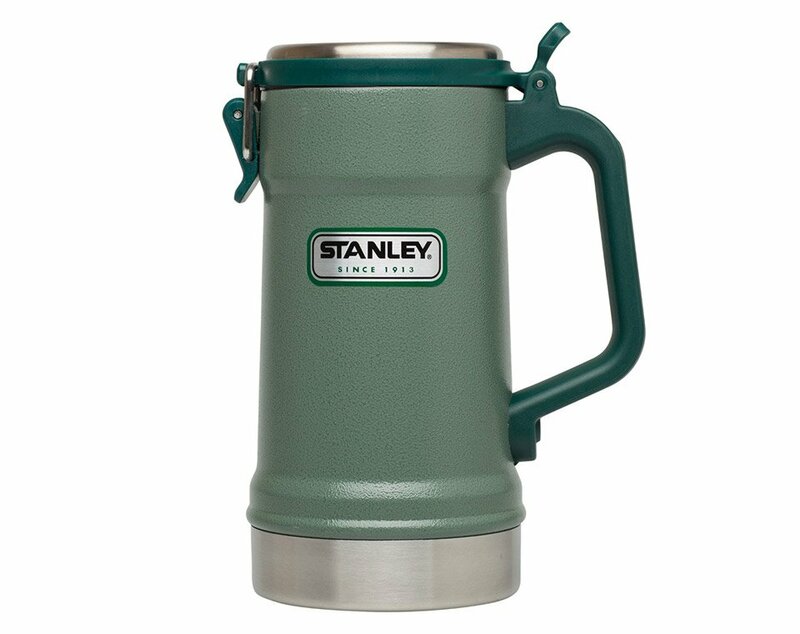 It carries up to 24oz of liquid.